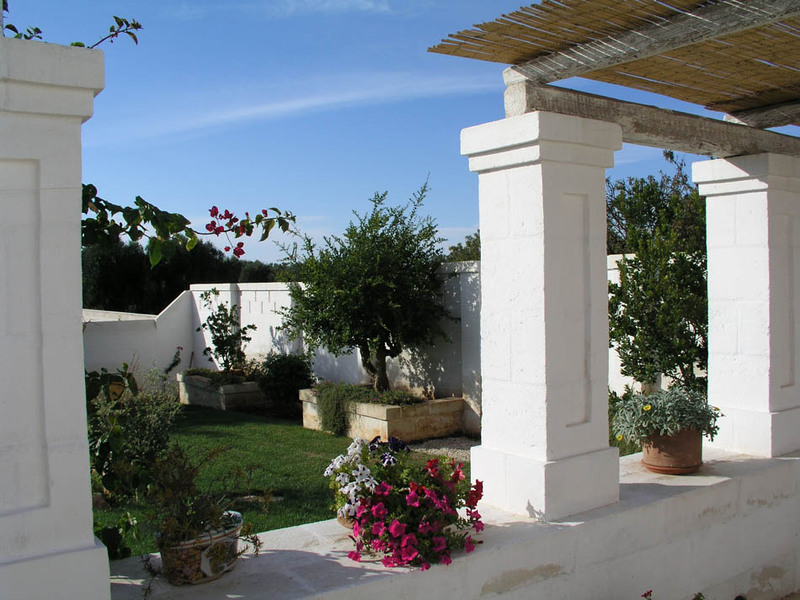 La masseria - Ci Presentiamo - Bed & breakfast Fasano, masseria B&B a Fasano, Brindisi in Puglia. 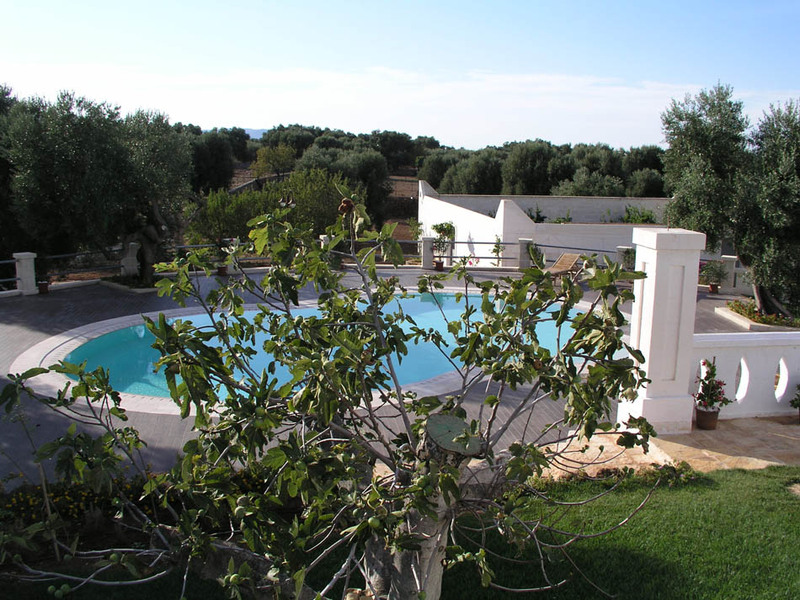 Lamascopone, bed & breakfast con piscina nella campagna di Fasano, Brindisi. A part of the Lamascopone Manor Farm born in the second half of 1800 as a shelter for farmers, and subsequently expanded in the early 1900's, became a main house thanks to its panoramic position from which it was possible to control the surrounding land owned by the same. The architectural features of the Manor Farm have been observed in the subsequent restauration in 2008. 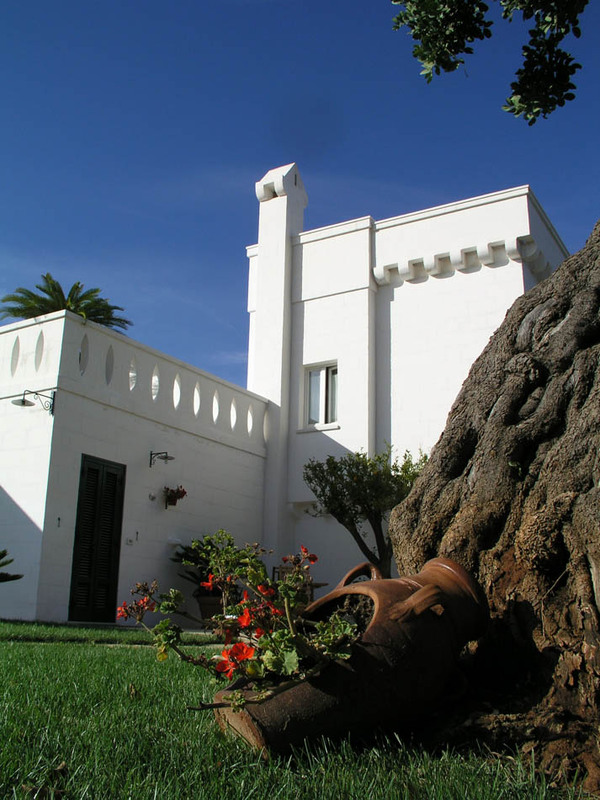 The surrounding part of the estate has been embellished by the new owners with the Mediterranean maquis, brooms, myrtles, rosemary, fruit trees and colorful boucanville that together with the citrus grove perfume inebriate the near bedrooms. 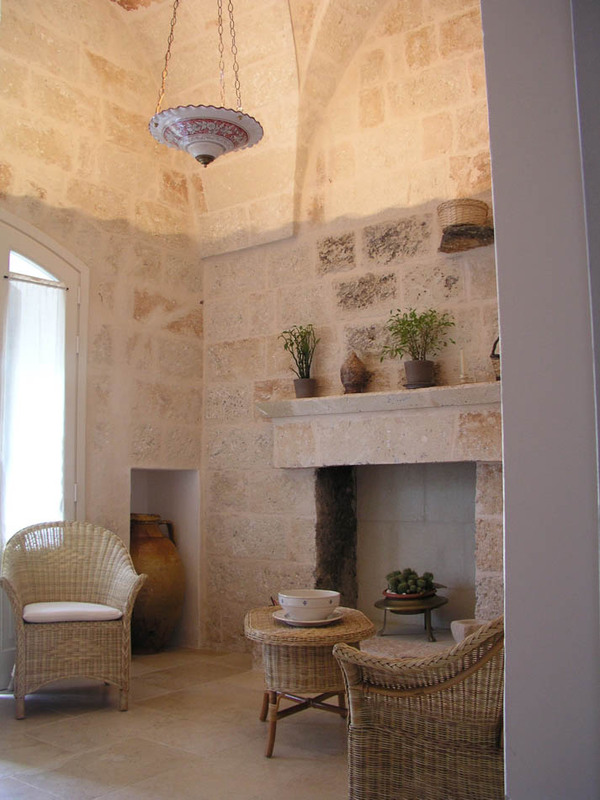 The Arabic style of the same citrus grove, characterized by high walls, the interior walkways between the seats of local stone, rock form fountains and a swimming pool with Jacuzzi, will allow guests to enjoy moments of absolute peace in the sun for those who love tan, in the shadow of a huge ancient olive tree for those who love to read on. The Manor Farm can be used both as a B&B and as a villa. It consists of 5 independent bedrooms with private bathroom and if there is the need it becomes a villa to all intents and purposes. 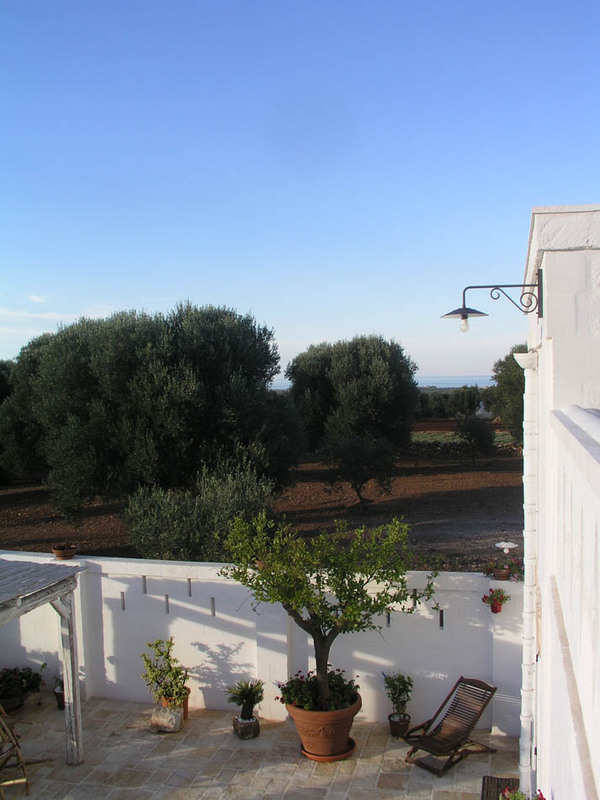 In addition to the characteristics bedrooms, at guests disposal, different services: laundry, dining room, large verandas and a tavern where you can spend moments of relax and food breaks. 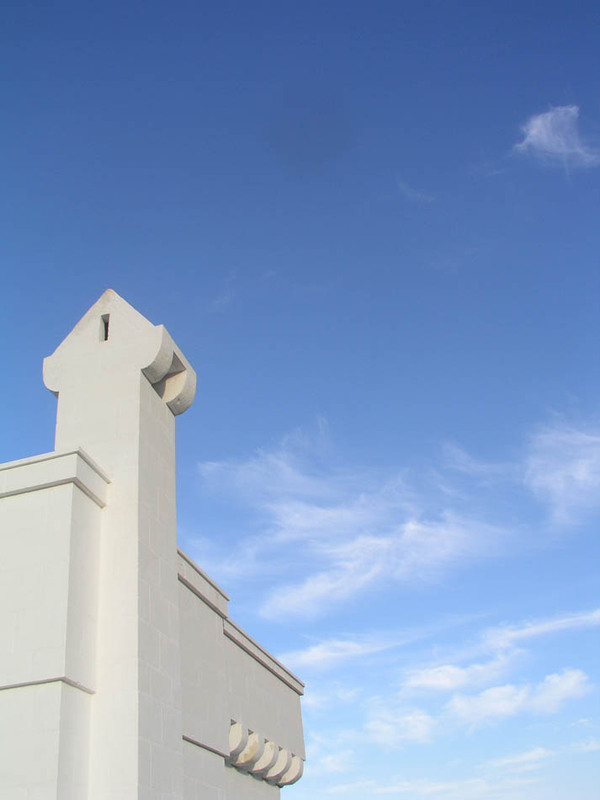 In addition, guests can avail themselves of a large private parking and bicycles.